If you love to experience new cultures, try new foods, see beautiful landscapes, or get insider travel tips, then this site is for you! It would be our pleasure to inspire people to start traveling more and show that it’s not as hard as it may seem. We are here to show you that you don’t have to quit your full time jobs to be able to travel the world. Being amateur travelers ourselves, but learning more with each trip, we would love for you to join along with us! I’m Brooke, from the United States and Marvin is from Brazil. We are a married couple that have lived in North Carolina ever since we got married, and made a temporary move to England in 2018. It was pure fate that we met because of our university exchange programs. As I was coming home from my study abroad semester in Australia, Marvin started his exchange at my university in the US. A year and a half later, married and loving every step since. I studied nursing and he received a music performance degree in electric guitar. Today we are a nurse and web developer with traveling and musical aspirations. I’ve worked as a nurse in the States, but wanted to give it a go across the pond and see what nursing was like in the UK. Check out some of my nursing differences posts! 🙂 Marvin with his mobile job was able to pick up and leave with me! I guess you could consider us expats who are taking advantage of our location to travel Europe. We enjoy photography (but no so good at it! ), coffee, new foods, and we are Harry Potter and Lord of the Rings fans! I am nowhere near having the skills of being a writer, photographer or even starting a blog before, but hey you gotta start somewhere right?! 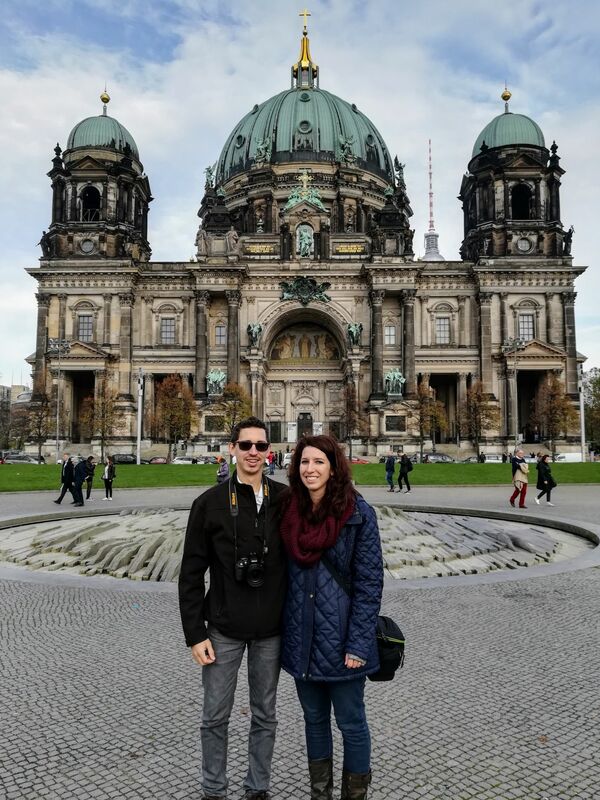 We travel as much as possible and I wanted this to be a good place we could share our stories and tips while journaling abroad…hence the name! In the last year we have been to over 10 European countries, and we are adding to our list every month! Please join us to say hello on our Instagram and Facebook page or email us here.